Sweeten your day with Cherry Credits! 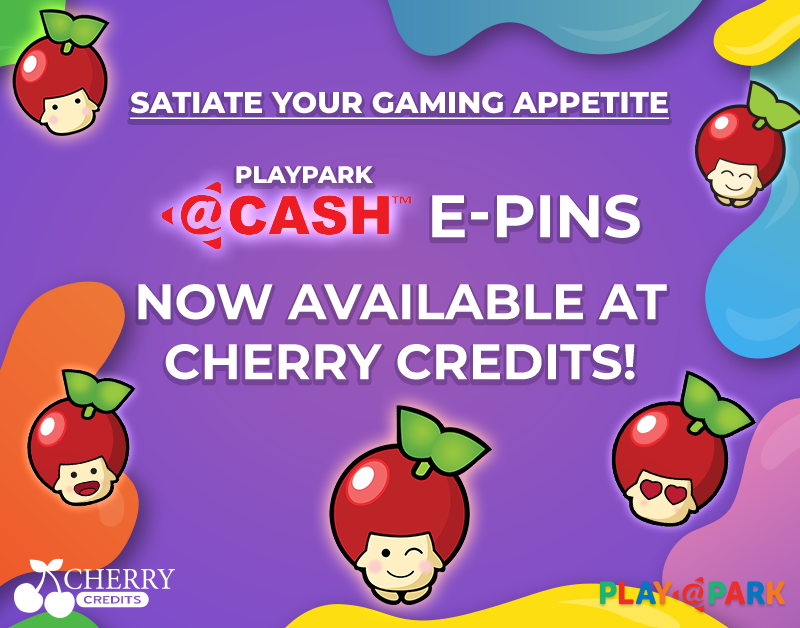 PlayPark has partnered with Cherry Credits to provide you with extra rewards when you purchase @cash! Visit Cherry Credits to get your @cash today. Stay tuned for more to come! • The Promotion will start on 17 January 2019 0000HRS till 17 February 2019 2359HRS. • Promotion only applicable on the following payment mode used for top up: PayPal, Worldpay, Visa, MasterCard, iPay88, WeChat Pay, China UnionPay, and NETS Pay. • Voucher will be sent to your Cherry Messenger in code format upon successful top-up. • “@Cash Discount Voucher” can only be used for purchase of @Cash e-PIN in Cherry Exchange. • Only 1 “@Cash Discount Voucher” can be used in a transaction. i.e. If you have 2 vouchers, and would like to purchase 2x 50K @Cash e-PINs, you will need to purchase the 2 e-PINs in 2 separate transactions in order to utilise both vouchers. • All dispensed vouchers are valid until 28 Feb 2019 2359HRS. Unused voucher will not be reimbursed.